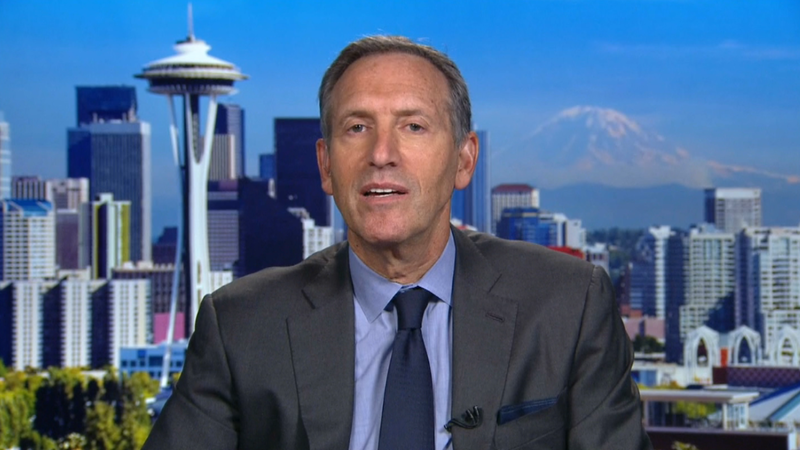 Starbucks CEO Howard Schultz says America's voters are embracing "fool's gold." He also told CNN's Poppy Harlow that he thinks the current political climate is a "tragic situation." "I look at the primaries, and I think many people are embracing what I would loosely describe as fool's gold. That divide and anger and anxiety is not going to produce what we need," he said. Schultz added that the U.S. needs "a vision of optimism, a vision of unity and inclusion." He has publicly identified himself as a Democrat, but Schultz has not endorsed any presidential candidate. He has decried the divisiveness that has defined this election cycle. "Perhaps we are no longer living in a time where we can look up and see the leaders that we once had," Schultz said. He added that he hasn't sat down with any of the presidential hopefuls to convey that message. Schultz also hasn't donated money to a candidate in years, after announcing in 2011 that he refused to do so until lawmakers end partisan gridlock in Washington. Several other CEOs joined him in making that pledge. Starbucks has stores in 70 countries. And Schultz said foreigners are "flabbergasted by what they're seeing and reading" about America. "I can tell you, without exaggeration and with no exception, almost every conversation that I've been in with Starbucks partners, government officials, and our customers -- all of those conversations have posed the question, 'What is going on in your country?'" He also hit back at critics who say he uses Starbucks as a political tool, insisting that the company's initiatives are not a marketing ploy. "This is no vanity play," Schultz said. "This is about the role and responsibility of our company...we need to do everything we can to reject bigotry and hate and fear and embrace optimism." He added that he thinks the country is in "dire need of both an economic and moral transformation," and that the country urgently needs to address a widening wealth gap. Schultz has tried to set that kind of example. He pointed out that all Starbucks (SBUX) workers that put in 20 or more hours per week get healthcare, even though the Affordable Care Act only mandates coverage for workers who work 30 hours. "We were pressured [by shareholders] to change that number from 20 to 30 because we would have saved tens of millions of dollars," he said. 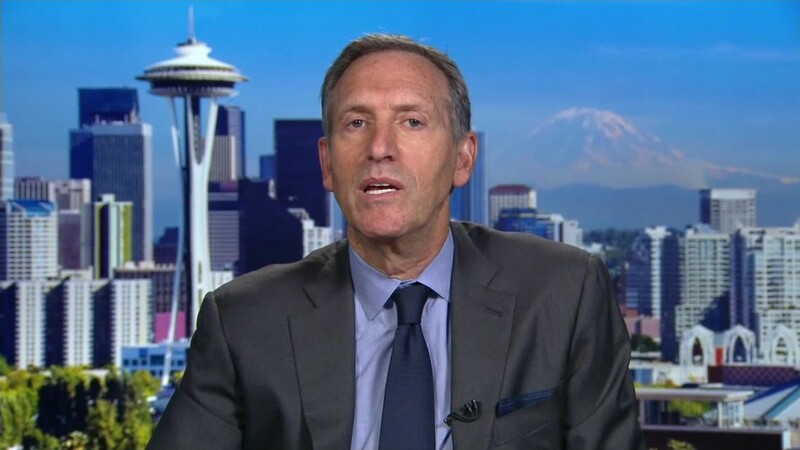 The company consistently spends more on workers' health care than it does on coffee beans, Schultz said. But he insists that offering benefits and wages over the legal minimum is directly linked to a company's financial performance. The company has boomed under his leadership -- shares are up 240% over the past five years.